Proposition 37 was a California ballot measure rejected in California at the statewide election on November 6, 2012. This initiative statute would have required labeling of genetically engineered food, with some exceptions. It would have disallowed the practice of labeling genetically engineered food with the word "natural". This proposition was one of the main concerns by the organizers of the March Against Monsanto in May 2013. The proposed law also includes several exceptions, such as products that are certified organic, made from animals fed or injected with genetically engineered material (but not genetically engineered themselves), processed with or containing only small amounts of genetically engineered ingredients, administered for treatment of medical conditions, sold for immediate consumption such as in a restaurant; and alcoholic beverages. Grocery stores and other retailers would be primarily responsible for ensuring that their food products are correctly labeled. For foods that are exempt, retailers would have to provide records either directly from the provider of the product, or by receiving independent certification from third parties. Farmers, food manufacturers, and every other party in the product's supply chain would also have to maintain such records. According to the California Attorney General, the measure would "increase annual state costs ranging from a few hundred thousand dollars to over $1 million to regulate the labeling of genetically engineered foods". It would also incur "Potential, but likely not significant, costs to state and local governments due to litigation resulting from possible violations of the requirements of this measure. Some of these costs would be supported by court filing fees that the parties involved in each legal case would be required to pay under existing law." Proponents argue that "Proposition 37 gives us the right to know what is in the food we eat and feed to our families. It simply requires labeling of food produced using genetic engineering, so we can choose whether to buy those products or not. We have a right to know." Opponents argued that "Prop. 37 is a deceptive, deeply flawed food labeling scheme, full of special-interest exemptions and loopholes. Prop. 37 would: create new government bureaucracy costing taxpayers millions, authorize expensive shakedown lawsuits against farmers and small businesses, and increase family grocery bills by hundreds of dollars per year." Opponents said Proposition 37 labeling requirements would increase grocery costs by as much as $400 per year based on a study by Northbridge Environmental Consultants and the non-partisan California Legislative Analyst's Office fiscal impact study. Proponents on the other hand, said that some organic US food processors argued that the changes in labeling will have no effect on consumer costs because companies change their labeling all the time, as it is, and changing labels is a regular cost already built into the price consumers pay for products. “We, as with most manufacturers, are continually updating our packaging. It is a regular cost of doing business - a small one at that - and is already built into the price consumers pay for products,” said Arran Stephens, president and founder of Nature’s Path. Proponents believed that if the proposition is accepted in California, it would increase the likelihood that other states will also adopt the same rules. In turn, if enough states do decide to adopt GMO labeling laws, it is possible that the national government will become involved and take action. Opponents claimed Prop 37 backers real intent was to ban GMOs via labeling schemes removing consumer choices, citing claims by proponents like Jeffrey M. Smith that labeling requirements in California would cause food companies to source only non-GMO foods to avoid having labels that consumers would perceive as warnings. During the campaign, both sides made allegations of campaign improprieties. Proposition 37 was defeated, gaining only 48.6% of voters at the polls in 2012. If it had passed, California would have been the first state to require GMO labeling. 1 2 "Statement of Vote" (PDF). California Secretary of State. Archived from the original (PDF) on 24 December 2012. Retrieved 15 December 2012. ↑ Finz, Stacy (November 7, 2012). "Prop. 37: Genetic food labels loses". sfgate.com. San Francisco Chronicle. Retrieved November 7, 2012. 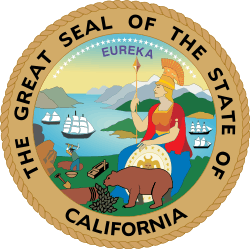 ↑ California Secretary of State, n.d. (29 October 2012). "Genetically Engineered Foods. Labeling Initiative Statute". Voter Guide. Retrieved 30 October 2012. 1 2 "Proposition 37: Text of Proposed Law" (PDF). Official CA Voter Information Guide. CA Secretary of State. 1 2 3 Prop 37 , California U.S. (2012). ↑ "Proposition 37 : Genetically Engineered Foods : Labeling : Initiative Statute" (PDF). Vig.cdn.sos.ca.gov. Retrieved 2013-08-25. ↑ "Prop. 37: Requires labeling of food products made from genetically modified organisms. | Voter's Edge". Votersedge.org. Retrieved 2013-08-25. ↑ Higher Food Costs, No on 37 website, accessed November 17, 2012. ↑ The Genetically Engineered Foods Mandatory Labeling Initiative: Overview of Anticipated Impacts and Estimated Costs to Consumers Northbridge Environmental Consultants Report, July 25, 2012. ↑ Prop 37 Summary of Legislative Analyst’s Estimate of Net State and Local Government Fiscal Impact, California Legislative Analyst's Office, July 18, 2012. ↑ Malkan, Stacy (31 August 2012). "Statement about Bogus Economic Analysis of GMO Labeling Costs - Yes on Prop 37". CA Right to Know. Retrieved 29 October 2012. ↑ Rodale, Maria (29 October 2012). "What Is Proposition 37? The Top 5 Reasons You Should Care!". The Huffington Post Online. Retrieved 29 October 2012. ↑ Lifsher, Marc (2012-11-02). "Accusations fly over alleged FBI probe of campaign against Prop. 37". Los Angeles Times. Los Angeles. Retrieved 8 November 2012. ↑ "Prop. 37: Requires labeling of food products made from genetically modified organisms. | Voter's Edge". Votersedge.org. 2012-11-06. Retrieved 2013-08-25. ↑ "Prop 37 Defeated: California Voters Reject Mandatory GMO-Labeling". Huffingtonpost.com. 7 November 2012. Retrieved 2014-01-08.